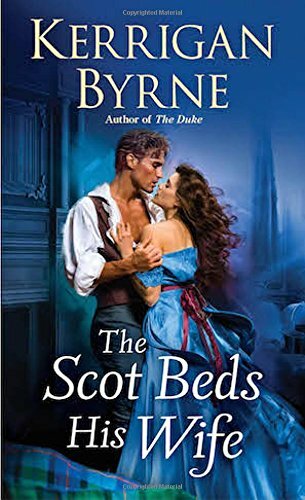 Every time I read a Kerrigan Byrne book I think that she can't get any better and I am always wrong! 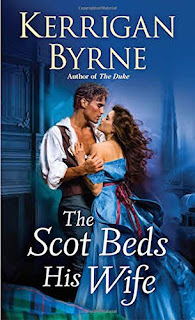 This book is everything a Historical Romance Novel and so much more. This is a story of two people who are traumatized by the life that they have lived. Kerrigan lets you inside their hearts and souls to their insecurities and the consequences of their life experiences. Gavin Thorne is a Highlander who was brutalized by his monster of a father. Samantha Masters is an orphan who married the man she loved or so she thought, it turns out that he is an outlaw and to save another she must kill him. They are both strong characters that overcome so many obstacles to get to their HAE. I don't want to give away any more of this story away. Their sexual attraction sizzles like you won't believe. They are perfectly matched but fight it until mortal danger enters their lives. I loved this book and this author. I will read anything she writes and all her books are keepers that I can read over and over again. This is the fifth book in The Victorian Rebels Series and I hope there are more on the way.